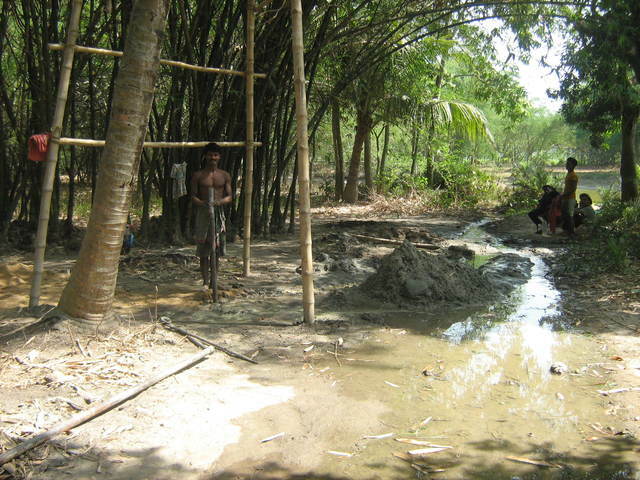 This is a proposed site for dugwell #PW139GTR2 located in the village Gotra (Chasipar) in Chakdah block of Nadia district. Gaighata. 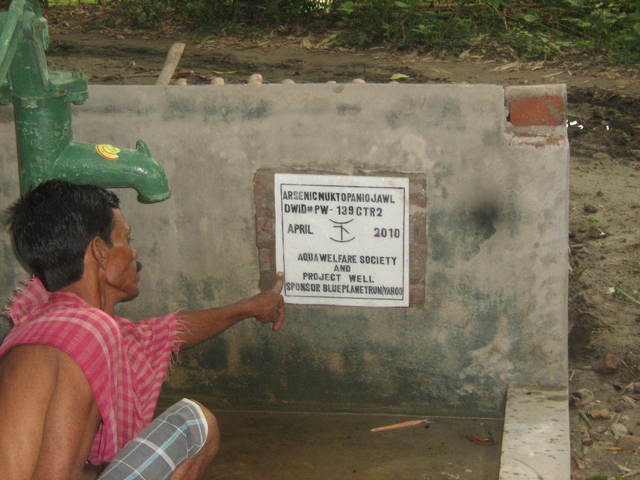 Sunil Mondol donated the site for the community. good water.13famelis used.dringking and cooking.give the theoline 500gm. 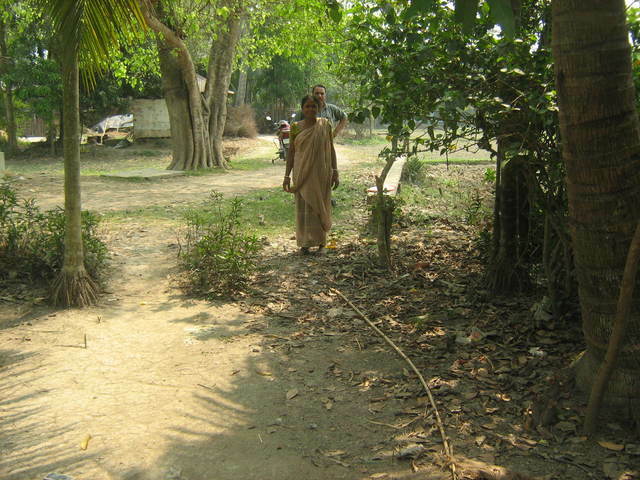 They had not gotten arsenic tests back yet when we were there, so were only using water for cooking. They were pleased with taste and smell of the water. Few things are pending - the tile with the name of the sponsor, the tin cover and the arsenic test and use to the disinfectant. 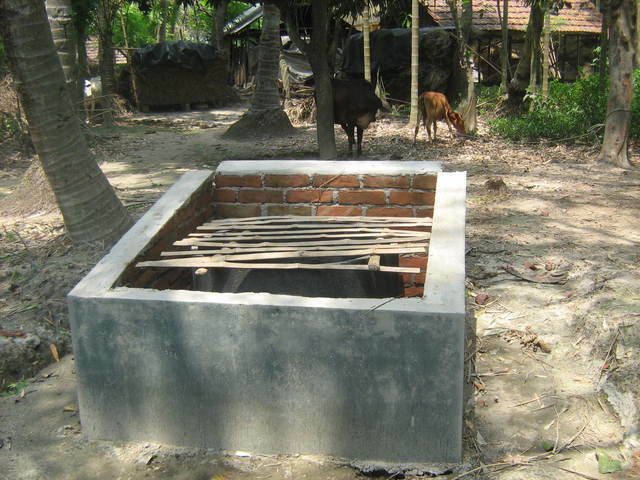 the community will be trained to apply the disinfectant and field workers will visit the bore-dugwell for two years or until they user community feels confident to take the responsibility of the bore-dugwell. According to the register record of July 2011 the total consumers=37; Families=5; Male=19, Female=18, children <5 = 1 and students =11. Update Dec 2010: 7 families are using this source now. Currently only 3 families are using the source.